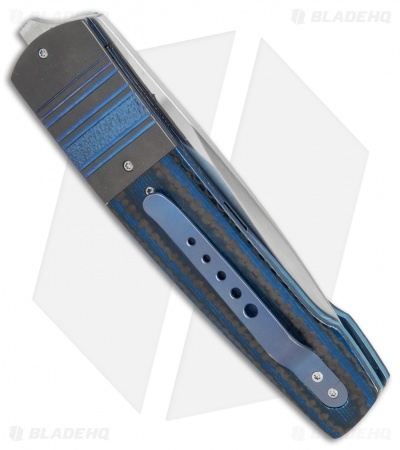 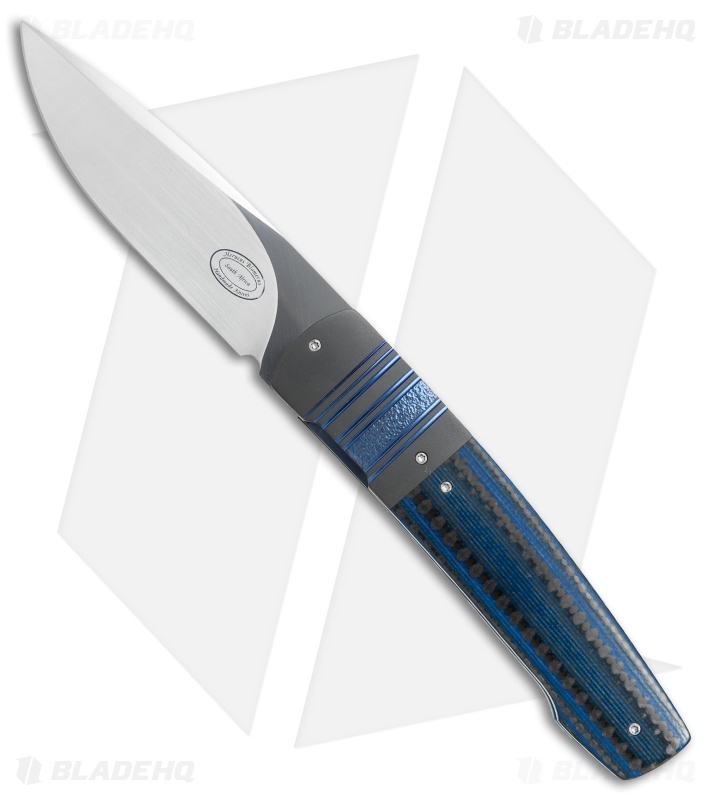 This Custom Liner Lock knife from Herucus Blomerus features an elegant design with blue carbon fiber scales and zirconium bolsters with blue anodized detailing. 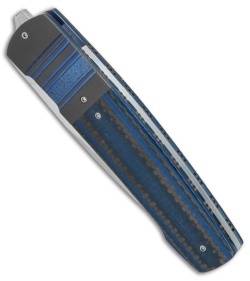 The titanium pocket clip and liners are also blue anodized. 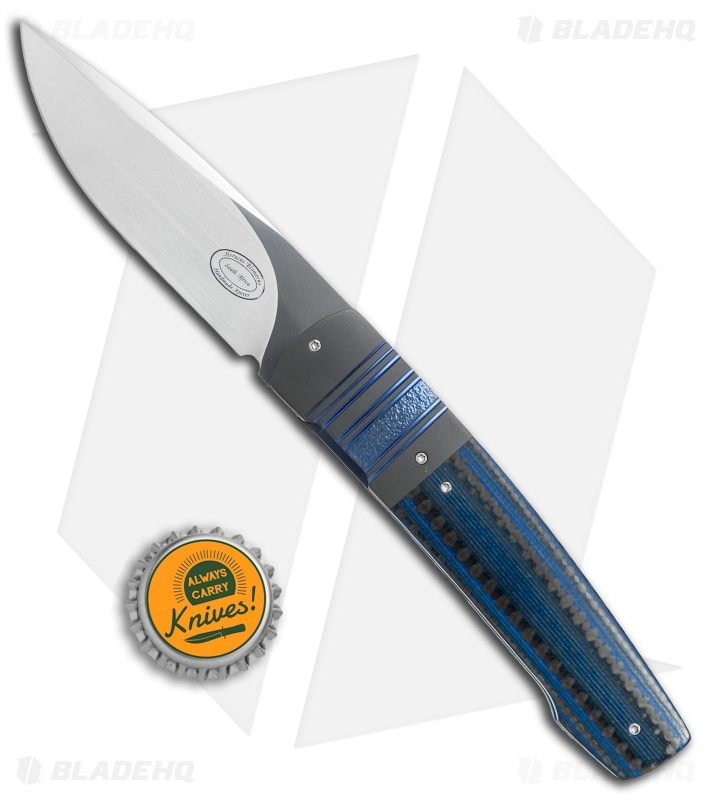 It has a blade made from satin finished Bohler N690 steel with a tang flipper opener. A stainless steel backspacer finishes off the solid custom design.